Get ready to ‘slot’ til you drop! Shopping Spree Slots has 5-reels of goodies. Nab grab bags for bonuses to multiply your wins! Shopping Spree Slots is a Girlie shopping themed slot game with nine paylines across five reels. It has a bright purple interface the symbols across the reels include jewellery, lipstick, high-heeled shoes and gift-wrapped presents. When playing the Shopping Spree slot machine you need to keep an eye out for the special symbols. The Wild symbol is the Lady holding the Money Bag and this symbol also wins you the maximum jackpot if you spin five on a winning payline. The jackpot on offer is 9500 times your initial bet. The Scatter symbol is the Money Bag and spinning three or more will activate the free spins bonus round. 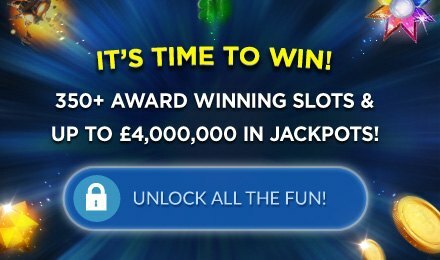 There are up to 15 free spins up for grabs and they can be retriggered from within the bonus. This slot machine offers a great jackpot prize and the chance to enjoy up to 15 free games if you spin the right symbols.